Do you want to outrank your competitors in Google so you can generate more leads and sales for your business? Bounce rate is when visitors to a website arrive and then immediately hit the back button. Why do they leave? Do you know you can analyse the keywords your competitors rank for? If they outrank you, will you check out their web pages to see how they're matching keywords to user intent? Keywords in title and description tags. Keywords in headings and bold html tags. Do you know that one of the most important factors for local SEO is citations? Basically when another site references your site. For example, a listing on yellowpages.com.au. So what can go wrong with citations? Do you agree that if you have more high quality citations than your competitors then you have a better chance of outranking them? 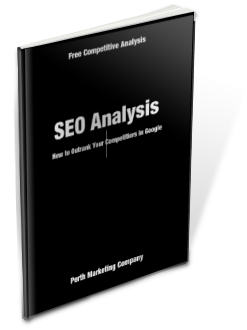 Well there you have it, that’s our ten tips for analysing your competitors. These tips highlight the importance of competitive analysis and continuous improvement. Ultimately each improvement leads to higher search engine rankings and more leads and sales for your business. So would you like us to analyse your competitors?